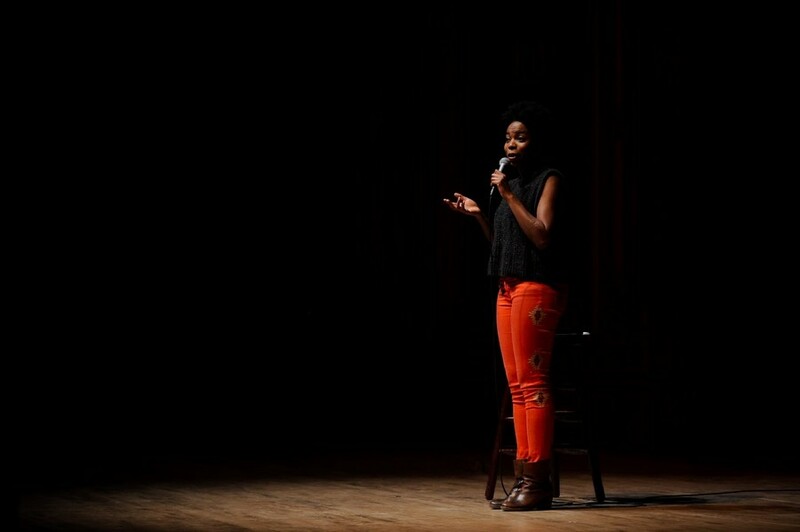 For its annual winter comedy show, the Major Activities Board invited Saturday Night Live (SNL) actress and comedian Sasheer Zamata to perform along with two other stand-up comedians. Zamata joined the cast of SNL in 2014 and has made waves with her impressions of Michelle Obama and Rihanna. She was also the first black woman to be cast since Maya Rudolph left the show in 2007, though she has since been joined by Leslie Jones. This past Friday, Mandel Hall was packed as students stood in line to get in over an hour before the first performance, and by the time the first comedian got on stage the crowd was ready for some high quality comic acts. Kicking off the proceedings was third-year and Off-Off Campus cast member Collin Lapinsky, who opened the show with a set centered around New Year's resolutions, self improvement, and the University community. Jokes about Mansueto Reading Room's greenhouse-like appearance and underground robots were particularly well-received by the audience. Next up was Martin Morrow, a comedian chosen by Zamata to open for her. While some of his jokes were among the edgiest of the night and received the most laughs from the crowd, many of them left the crowd murmuring uncomfortably. When he commented that “Chicago has the best homeless people” within the first minute of the set, most of the audience was unsure whether they should be laughing, agreeing with him, or waiting for an actual joke. After a slow start, though, Morrow managed to win the crowd over with his anecdotes about working in a school as his day job. His imitations of children, including one of his students who yelled, “Haha, you were worried!” when Morrow thought another student was choking to death, were spot on. Almost immediately after Morrow finished, Zamata walked onto the stage before the crowd seemed ready to receive her. After riffing a little bit about her “ninja” tactics she went straight into her set, making jokes on topics ranging from white people watching black people watching the movie Selma to her disappointment at never having the chance to play Beyonce on SNL and being forced to settle for playing the singer’s sister Solange. Beyoncé was a frequent topic of conversation for Zamata, as she came up again in a story about Zamata meeting her the previous week and later in a bit where she did impressions of the members of Destiny’s Child deciding who would compete in a three-legged race. Other than Beyoncé, Zamata focused a lot of her show on life at SNL, her family, and issues of race and gender she has faced as a female comedian. All of the acts were very strong, but the progression of the acts was still quite striking. While Lapinsky and Morrow had great material to work with, Zamata’s flow throughout the evening and ability to interact with the audience set her act apart. Her experience and comfort with telling jokes in front of a large crowd paid off, and Zamata’s stage presence was so relaxed and engaging that it was hard not to fall in love with her. One of the highlights of the night came at the end of the show when she held an unscheduled Q&A session with the attendees. While some of the questions she answered were benign—what her advice to aspiring comedians was and who her comedic inspirations were—other questions took fun and unexpected turns. Upon being asked about her worst dating experience in New York she told a long and unprepared story about meeting a guy at a party and then dragging him all over New York because she realized they had nothing in common and “he wasn’t as cute as I thought he was." Most of her jokes were anecdotal, which made the evening feel more like a long conversation with an old friend than a staged comedy show. While outside of SNL Zamata may not have many credits to her name, she is certainly a rising star in the comedy industry. If her set on Friday is any indication, look for Zamata to be everywhere within the next few years.